Single sign-on that just works - eliminate username and password hassles. Access your apps using your existing corporate credentials – even leverage desktop single sign-on for seamless access on your Windows domain. Offload on-boarding - fast, mistake-free on-boarding with automated provisioning and deprovisioning of users based on Active Directory or LDAP. Multi-factor authentication - add an extra layer of protection. Use Okta’s free smart phone app or a pre-integrated third-party solution from RSA, Symantec, or Duo Security. First, make sure you have a Redbooth Business plan. 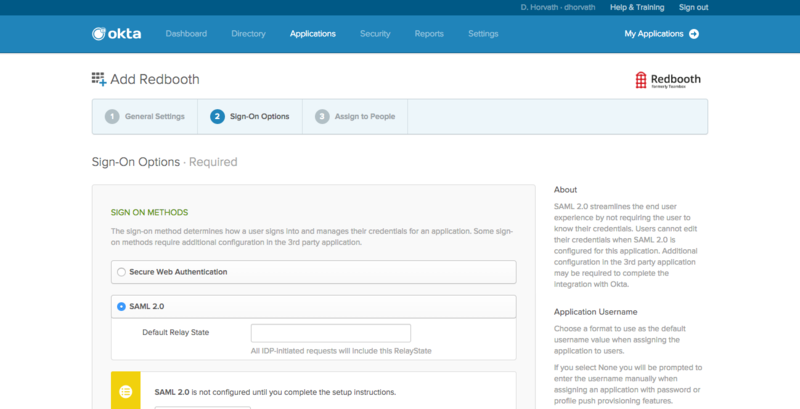 In Okta, configure integration with Active Directory and SAML with Redbooth. Details will be provided after signing up with Okta. 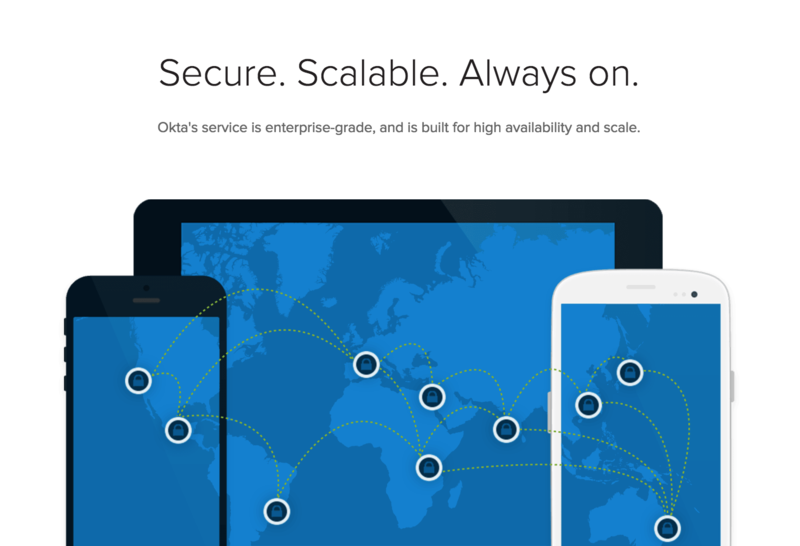 Learn more about how to install and use the Okta in our Help Center.